Okay, so April 1st didn't actually start off that great - I was down and out with a bad cold and despite a nice forecast it was raining virtually all day. So, I'm going to pretend that April was just foolin' yesterday and that the month really began today. It was a much better start today with sunshine this morning and most of my energy back. Anxious to go out and look for some more spring migrants, I decided to head out for a brief excursion this afternoon - my first in several days. My first stop was Sportsman's Lake, where I saw my first violet-green swallows of the year early last week. There were fewer of them flying around at mid-day today than there were at dusk on my earlier sighting, when there were probably 50 or more, but the lack of numbers was made up for by the fact that some of them were tree swallows (140). I also heard a couple of marsh wrens singing, about 30 double-crested cormorants either roosted in the trees or fished in a big flock on the lake, and four pairs of bufflehead still remained - they'll soon be gone back to the north. What's amazing to me about this island is that seemingly no matter how much time you spend exploring here there are always new things to discover. I've been visiting or living on this 55 square mile island for the last ten years, but today I got to explore a trail I have never been on before: the quarry trail up near Roche Harbor. A friend tipped me off about it and I've been meaning to explore it for some time now. It starts out winding uphill through a rocky canyon (the remnants of the quarry), an environment that feels like no other habitat on San Juan Island. A turkey vulture and a smattering of unidentifiable swallows flew overhead, but otherwise it was pretty quiet. As we climbed higher and into the woodlands, it was more typical San Juan habitat. 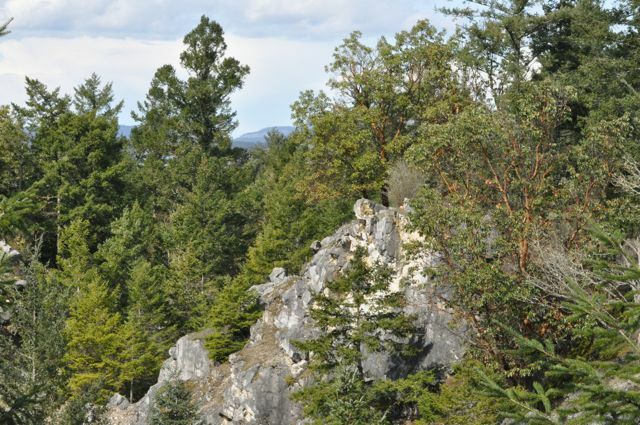 Near the top of the trail, which summits at an overlook facing northwest, I heard a warbler. I was able to spot it among the high branches and identify it as an Audubon's warbler (141) - my first of the year after just missing them on several occasions in Portland in January. The Aubudon's and myrtle warblers (both considered one species, the yellow-rumped warbler, from the 1970s until last year), both occur in mixed flocks in Oregon, but generally Aubudon's only head as far north as Washington during the breeding season. I figured I'd find one on the island before too long, but it was nice to add this cheery little fellow to the year list today. Still not quite 100%, the walk tired me out, but just as we were getting home I got word that J-Pod was heading south towards the westside of San Juan Island. That provided an immediate energy boost, as did the sandwich I had for a late lunch before heading out to Lime Kiln to see if I could find them. The weather had changed quite a bit as the clouds had moved in and the wind was blowing, but it wasn't long until we could see some blows off in the distance. 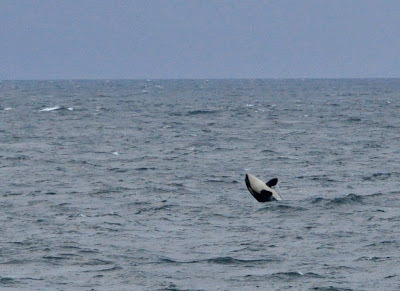 The swells made spotting the whales a bit difficult as they approached, and many of them were several miles offshore. While whale-watching, several lines of surf scoters flew by heading north. Migrating? Probably - they won't be in local waters much longer. The seas laid down just enough as the last little group of orcas came by. One little youngster was quite exuberant. I didn't count, but I bet he breached at least 30 times. It was a joy to watch, and I think everyone watching had to smile. 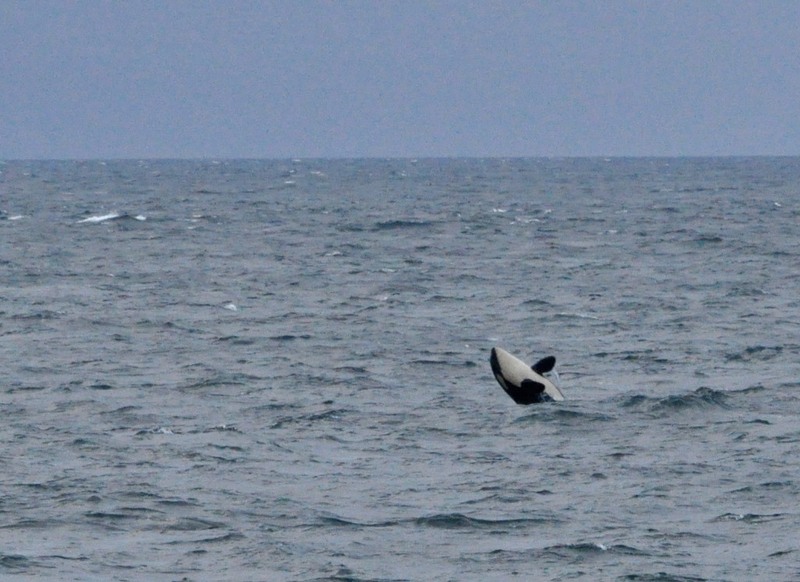 Two year birds and a killer whale sighting? Not a bad start to the month! I look forward to more sightings of both birds and whales as we head deeper into spring. Welcome to april Monika ;-) Its gonna be a busy month! 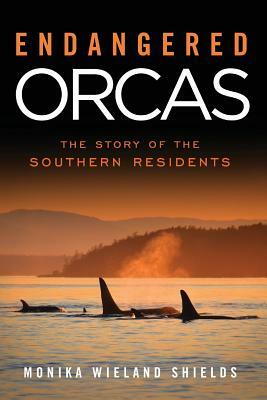 you can't go wrong starting the month with orcas! hope it's a sign of summer sightings to come ... i'm soooo ready!